On Saturday 27th August Delta Force Paintball Newcastle played host to Olympic gymnast Louis Smith MBE and a group of his close friends including former international gymnast Luke Carson. Louis and his mates visited the Newcastle Paintball Centre for a full day of paintball action to help celebrate Luke’s upcoming wedding and to kick start their stag party weekend shenanigans. Before painting the town red the boys armed themselves with the latest paintball gear and pummeled each other with paint as they took on 6 varied game zones. The sun was shining over the Bank Holiday weekend making for the perfect day of paintballing for the lads as they relaxed after a few intense weeks at the Olympic Games in Rio where Louis secured a silver medal in the Pommel Horse. The group of athletes arranged a private game to forge close bonds over the course of the event and the day was a great success with the team dodging and diving to achieve the objective of each mission. 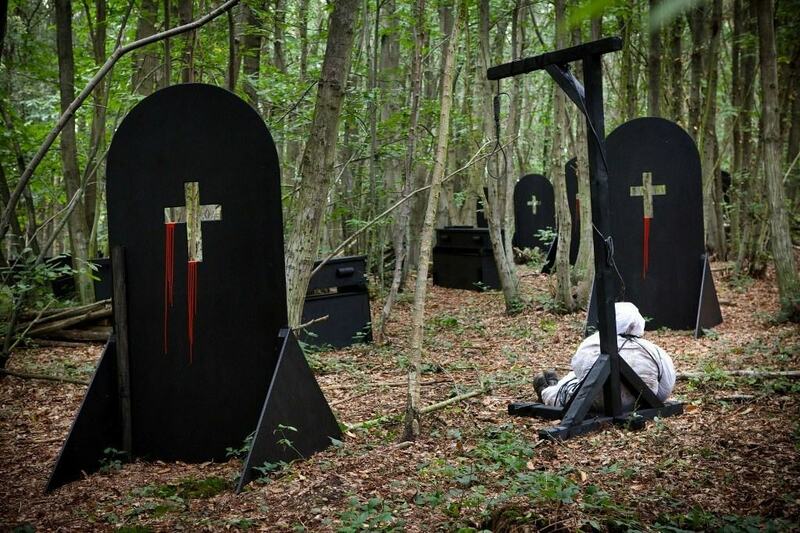 The Haunted Graveyard paintball game zone was a highlight for Louis and his friends as they battled their way through dense forest in their attempt to evade the zombie attack. Members of the public who were also playing paintball in Newcastle on Saturday were lucky to secure their own selfies with Louis and his mates as they relaxed during the breaks between games. Paintball stag parties are a great way to bond with your mates and the paintball event for Louis and his friends didn’t disappoint. 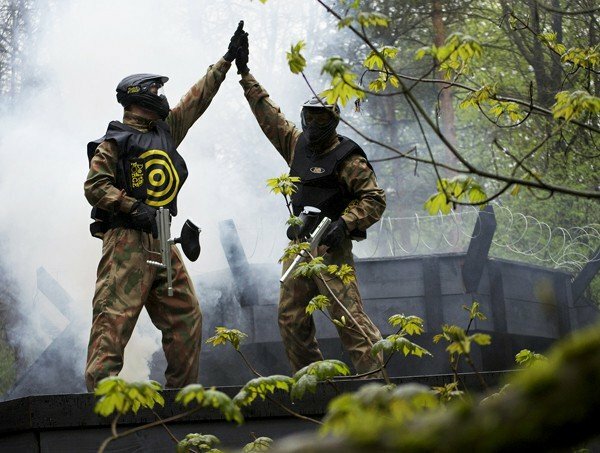 For further information about paintball stag parties at Delta Force Paintball, please call one of our event coordinators on 0203 869 9301or make a booking via our website. We’re open 24/7 to help arrange the ultimate celebration!